Trump has one & this is why you need the Villa Park INFINITY POOL in your life. Tired of gobbling that same old flaccid pink pre-match sausage? Want something to quench your thirst for AVFC other than mass produced alcopisswater? Join The Villa Underground, My Old Man Said & resident DJ Chris Budd at the VP Infinity Pool. You’ll hear our thoughts on the demolition of Blues; listen to how Hutton’s wonder-goal sounded in Brazil, the city is ours (again) and what went right for Villa / wrong for the visitors. David (MOMS) was embedded with the Police from 6am on derby day; you’ll learn just what it takes to keep one of footballs most fierce rivalries peaceful. What vegetable was confiscated (I wonder) & how did the day unfold? And…who was the shadowy figure lurking upon the highest balcony at The Holte End? Is it all prawn sandwiches in between spoonfuls of caviar? Or did someone forget the milk for the coffee? You just can’t get the staff. The Infinity Pool would provide the perfect vista to take in Villa Park, now set against a backdrop of our new brand of exciting football. Or would a Hot Tub Time Machine back to the glory days of the 80’s make for better viewing? Good enough for Trump? Then it’s good enough for us. Next we consider Villa’s upturn in form under Dean Smith’s guidance in the context games against Forest and Middlesbrough. Make sure you never miss an episode by subscribing through your Podcast platform of choice! 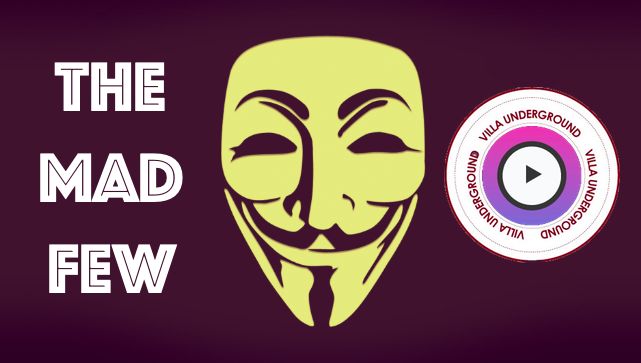 Your support has kept VillaUnderground.com & socials alive since 2011. 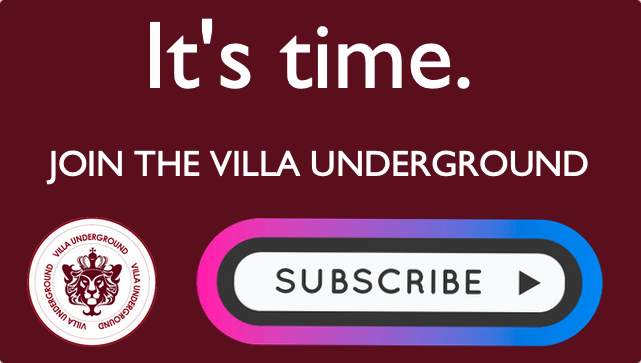 If you enjoy the content & want to maintain independent Villa news & coverage, please considering signing up. Kodjia’s no Benteke. Where’s Tshibola? Why can’t Villa beat better sides? Villa 100% In 2018, Gabby Donkey Derby, Transfer Talk, Hogan’s Run & More Thor. Brand New: Villa’s Game of Thrones, Bruce ‘Hysteria’, Transfer Exclusives & Boro/Brentford debrief. 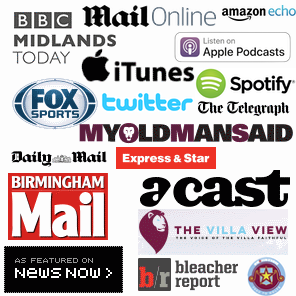 Former Villa boss Big Ron Atkinson Podcast Exclusive – Listen & subscribe.